Trump’s assessment of the US presence in Syria does not seem to line up with with the Pentagon’s analysis. “A lot of very good military progress has been made over the last couple of years, but the hard part, I think, is in front of us,” General Joseph L. Votel, head of US Central Command, noted Tuesday at the US Institute of Peace. At the same time, Votel acknowledged the lack of support by the Kurdish-dominated Syrian Democratic Forces (SDF), which has abandoned its US-mandated positions in Syria to repel the Turkish-led operation in Afrin. The general noted that the US is “going to have to look at the ways that we keep the pressure on ISIS and continue to develop mechanisms on the ground that help us de-escalate the situation” in Syria. “We’re in Syria to fight ISIS. That is our mission, and that mission isn’t over, and we’re going to complete that mission,” the special envoy to the Global Coalition to Defeat ISIS, Brett McGurk, added to Votel’s remarks at the US Institute of Peace. 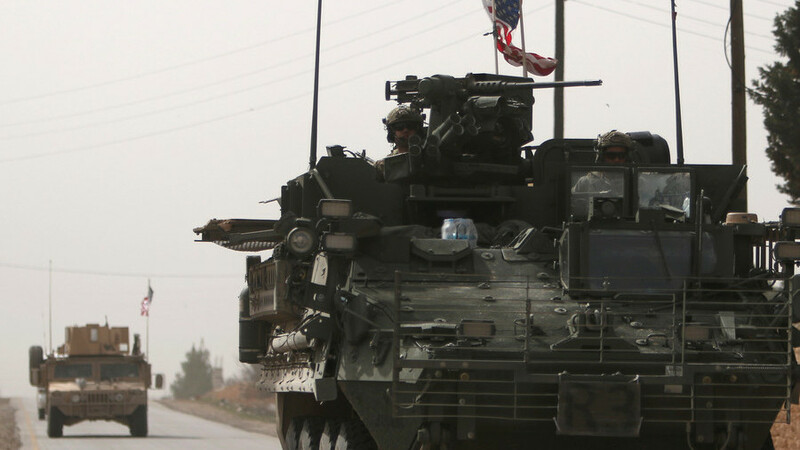 According to “trustworthy local sources,” around 300 US troops in armored vehicles have already arrived in the frontline zone along with construction material to set up a base 8km (4.9 miles) from Sajur River, “which forms the frontline between Jarabulus, the Euphrates Shield area, and Manbij, the YPG/PKK invaded area.” The other base is allegedly being built 4km (2.4 mi) from the frontline, south of Dadat, the report added.